For the first time Apple is going to allow its AI researchers to publish their research, a move which could help the company make significant advancements in its AI technology. According to a report from Bloomberg, Russ Salakhutdinov, an Apple director of AI research, recently revealed the news at the Neural Information Processing Systems conference in Barcelona. This isn't a completely surprising move since Apple has already proven it's willing to step away from the secretive insular development processes its become known for in the name of improving the performance of its voice assistant Siri. 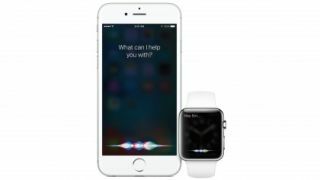 Earlier this year, for example, the company announced that it would allow third-party developers to integrate the Siri voice assistant into their apps, immediately making it much more useful. According to researchers, aside from its initial refusal to engage with third-party app developers, Apple’s inability to keep up with its competitors is largely down to its unwillingness to publish its research and learn from other academics in the AI field. It's hard to hear anything new in an echo chamber. When Siri launched in 2011, it made Apple a leader in AI mobile technology. However, since then Apple’s technology has quickly fallen behind Alphabet and Microsoft, whose Google Assistant and Cortana are advancing at a much faster rate. The fact that Google and Microsoft allow their researchers to publish their papers has no doubt helped them advance their technology by allowing them to engage in wider academic discussions. It’s also likely to have made them more attractive to the best talent in the AI field than Apple, as skilled researchers would naturally be drawn to companies which allow them to share their work and discoveries with their peers. So, what does this mean for Apple device owners? Well, it’s highly likely that they’ll see Siri improve at a much faster rate and become an increasingly useful service with interesting features that feel natural to use.